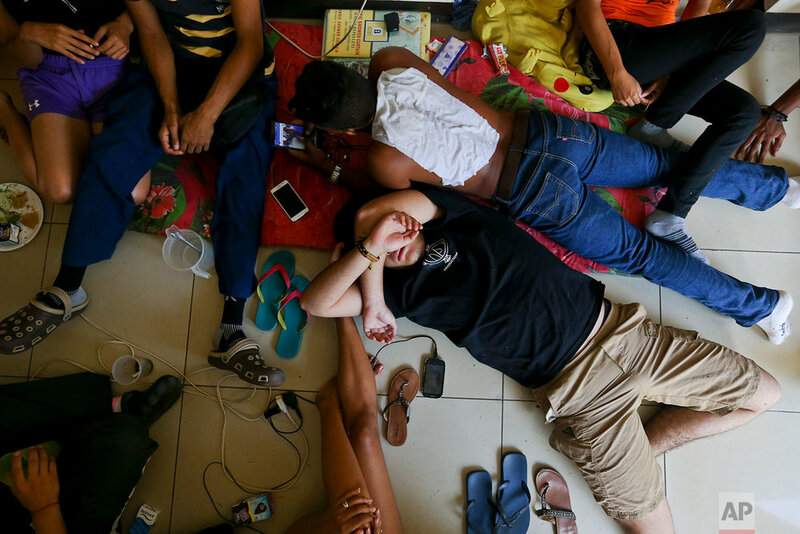 Where they once arranged their lives around a class schedule, students at the Autonomous University of Nicaragua now organize themselves around watch schedules, always keeping an eye on their adversaries: the Nicaraguan government and allied youth groups. Students have barricaded themselves inside their school, stacking desks to limit access points to buildings. They say it's the only place they feel safe and they've been joined by students from other schools. "We prefer to stay here. We feel safer than in the streets or in our homes where they come to terrorize us, kidnap us or kill us," said John Cerna, a student from the National Engineering University who carries a scar on his left temple where a bullet grazed him. The conflict began in mid-April when protesters were attacked for marching against cuts to social security pensions. Students responded en masse and they have continued blockading streets and marching against the government for more than two months. The government dismisses them as delinquents and says police have to respond when students disrupt traffic. 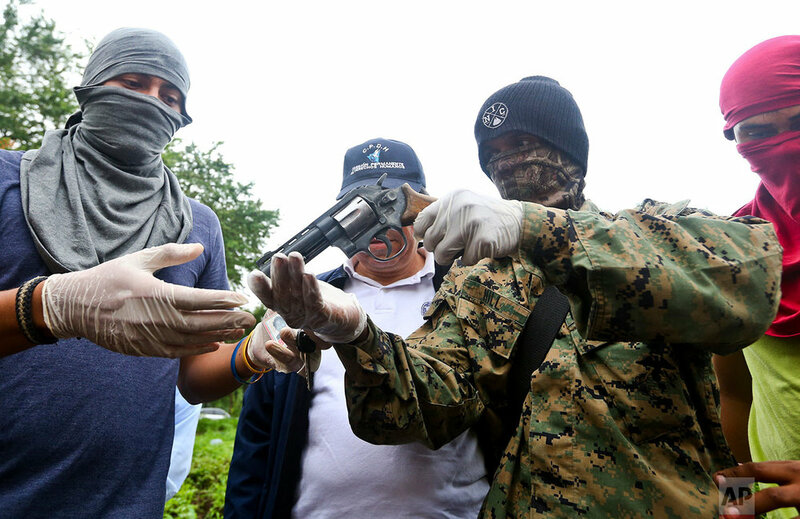 Historically many students, some of them members of President Daniel Ortega's Sandinista Front, have been supporters of the leftist government. 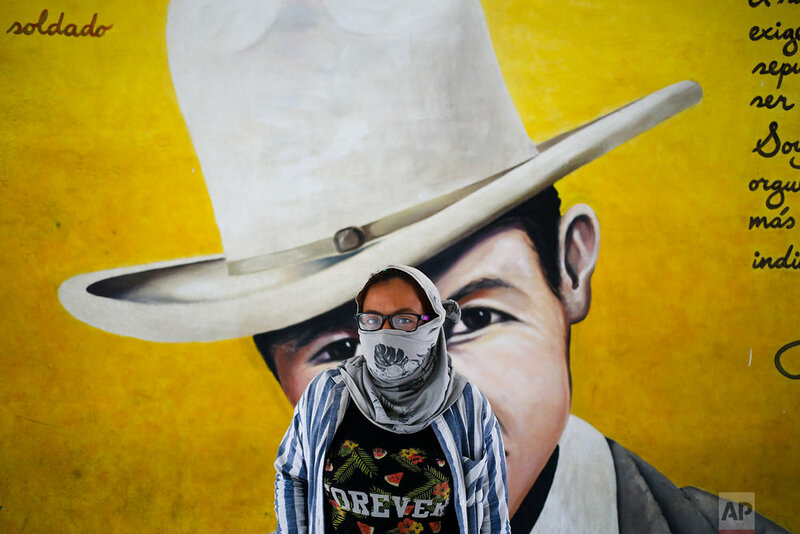 The university, which more than 30,000 students normally attend, includes revolutionary murals, like the one dedicated to Carlos Fonseca, a founder of the Sandinista National Liberation Front that toppled the Somoza family dictatorship in 1979. But now many of the same students are calling for Ortega to step down, angry at the violence inflicted on protesters by police and bands of Sandinista Youth that attack demonstrations in an effort to intimidate and break them up. 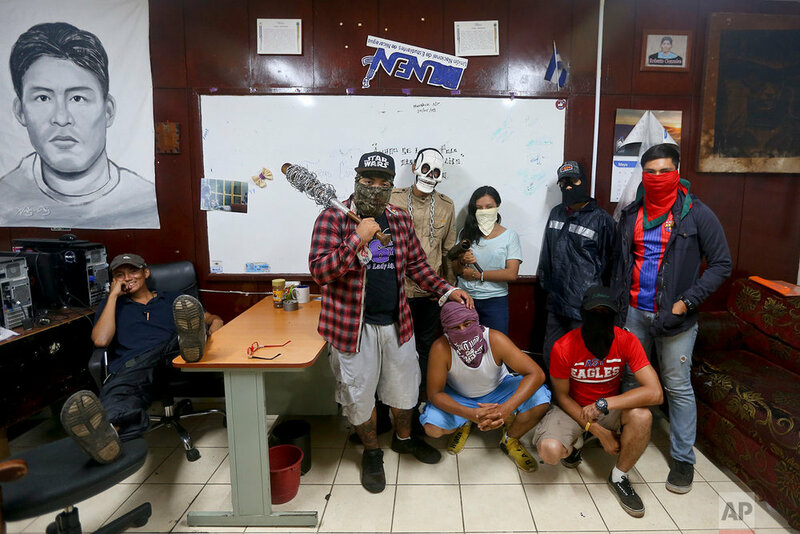 Human rights organizations have tallied at least 250 deaths — the majority of them demonstrators but also some bystanders — since street protests began in mid-April in the capital and other cities across Nicaragua. 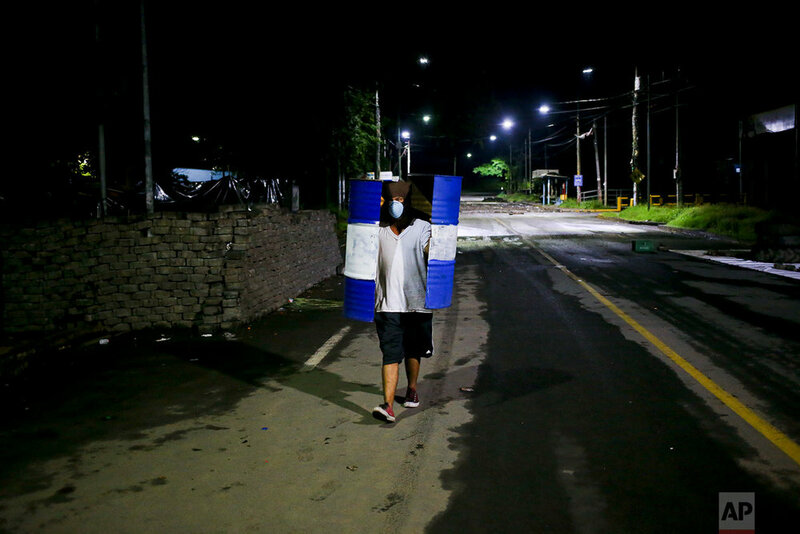 In some neighborhoods, students created brick and concrete barricades to keep out riot police and pro-government forces who have used tear gas, rubber bullets and even live ammunition to attack protesters. Many of students holed up here have masked their identities for protection. One young man lifts his raincoat to show a cluster of homemade explosives, then raises the shirt beneath to reveal bullet wounds. Students began arming themselves with primitive mortars after violent attacks on demonstrations. From the outside, the university looks like a fortress with approaching streets sprinkled with metal spikes to puncture tires. That's meant to fend off raids like one on June 7 when armed pro-government youths rushed the building. Shots rang out and students ran to a barricade where they found 19-year-old Chester Chavarria wounded by gunfire. An ambulance arrived, but students sent it away because they did not trust that he would receive care at a public hospital and feared it might carry attackers. 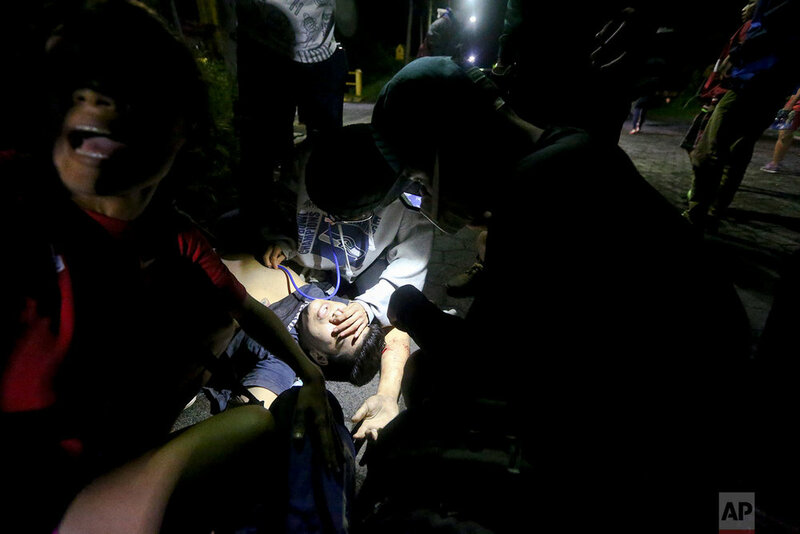 Students took Chavarria to a private hospital where he later died. 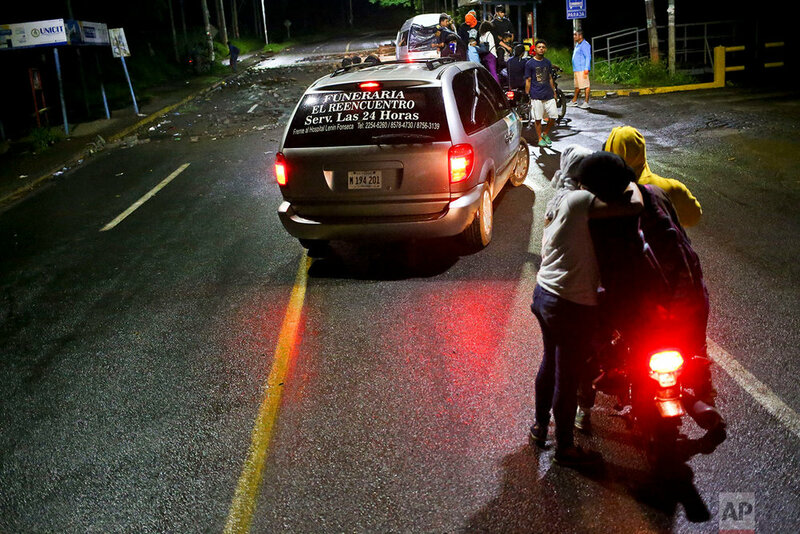 The next day Chavarria's teenage friends attended his funeral procession wearing masks to cover their faces. Chavarria's mother and relatives buried his body in Managua. 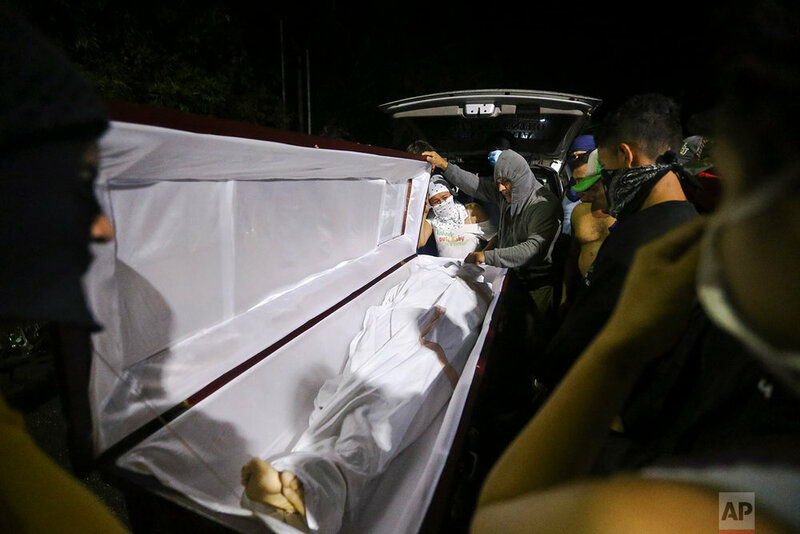 At the funeral, some carried the Nicaraguan flag upside-down, a symbol of national distress, while others fired homemade mortars into the night sky.